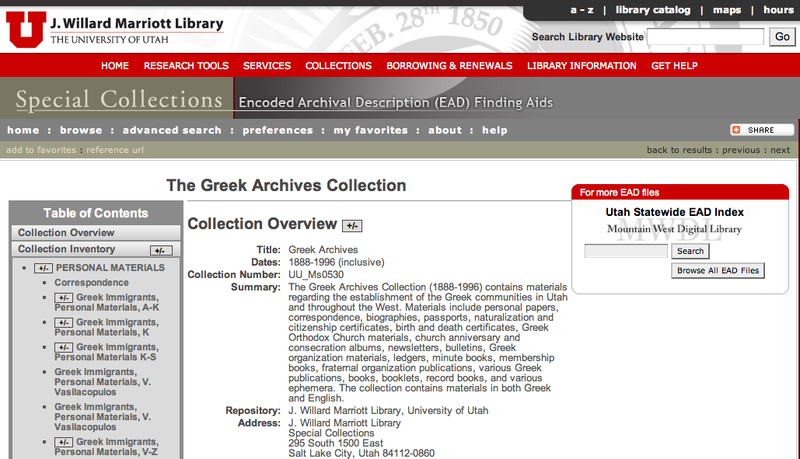 Summary: The Greek Archives Collection (1888-1996) contains materials regarding the establishment of the Greek communities in Utah and throughout the West. Materials include personal papers, correspondence, biographies, passports, naturalization and citizenship certificates, birth and death certificates, Greek Orthodox Church materials, church anniversary and consecration albums, newsletters, bulletins, Greek organization materials, ledgers, minute books, membership books, fraternal organization publications, various Greek publications, books, booklets, record books, and various ephemera. 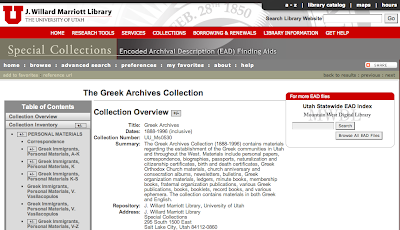 The collection contains materials in both Greek and English.